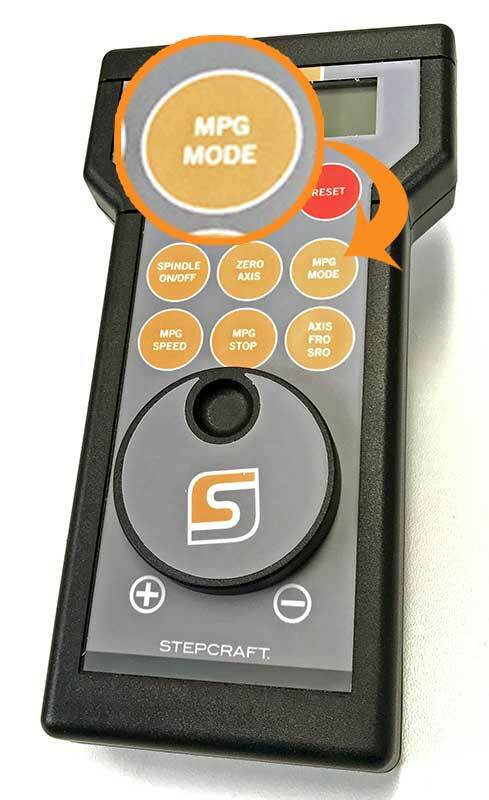 What is “MPG” on the STEPCRAFT RMC 100 Wireless Controller? The term “MPG” stands for Manual Pulse Generator and is basically and electronic hand wheel. Selecting “MPG Mode” will allow you to rotate the wheel and move the axis on the machine in steps based on the indents in the wheel. This is a great way to move the spindle around, specifically when setting the starting position for each job.